In 1960 my college acceptance letter from New Mexico State University assigned me to a dormitory called White Rock, which sounded exotic to a seventeen-year-old from Carlsbad. In the blush of that vernal autumn, I arrived with airy surmise, and essential gear. 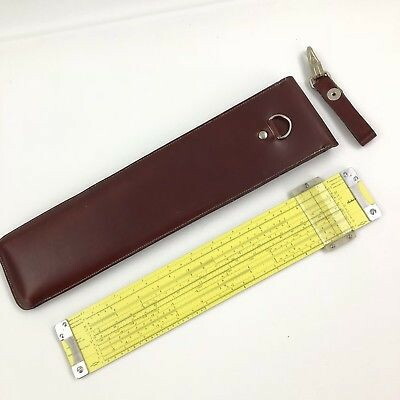 It was the days of slide rules and portable typewriters; record players and footlockers; brief cases and spiral notebooks. I even brought a couple of real books. 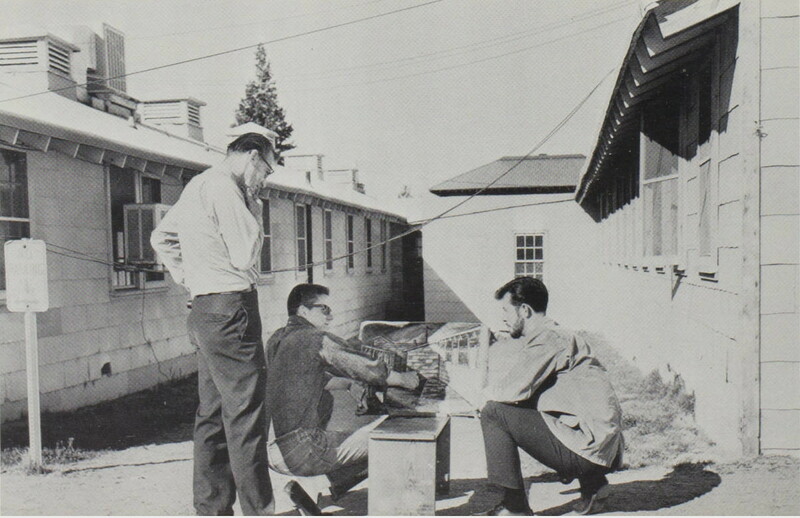 The dorm proved to be a collection of recycled barracks from White Rock, New Mexico. Surplus WW II barracks were the go-to temporary buildings of that day, and they'd been pulled onto the campus in response to the GI Bill. There was no air conditioning. The bathrooms and washing machines were in the middle of the building, near a tiny lobby with ugly chairs. I lived in White Rock one semester until the slick new Regents Row complex opened. We haven't found any actual pictures of White Rock, save a distance shot below, so we've included some protypical views from other venues to suggest the moment (see slide show at left, or click to get a history of White Rock New Mexico). If you're wanting to flip through some old yearbooks about now, click the title block, at the top. 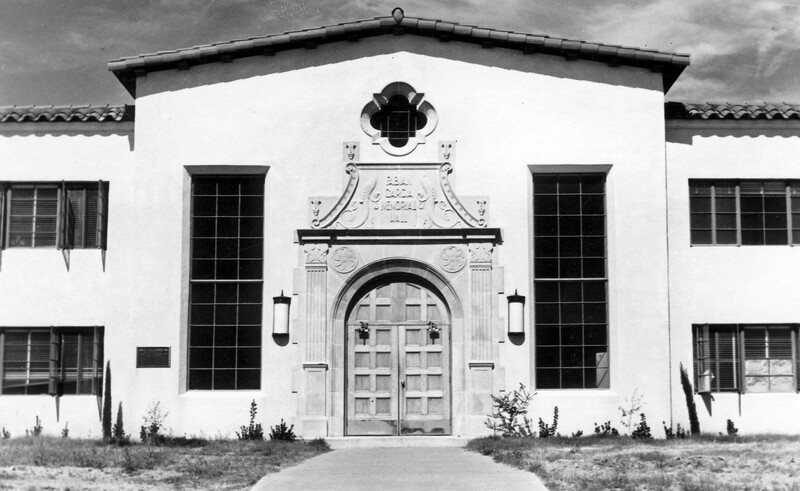 Picture of Regents Row links to the history of buidlings at New Mexico State University. The picture above is from 1962, looking over the newly opened Regents Row complex, with the then empty White Rock Barracks in the background. 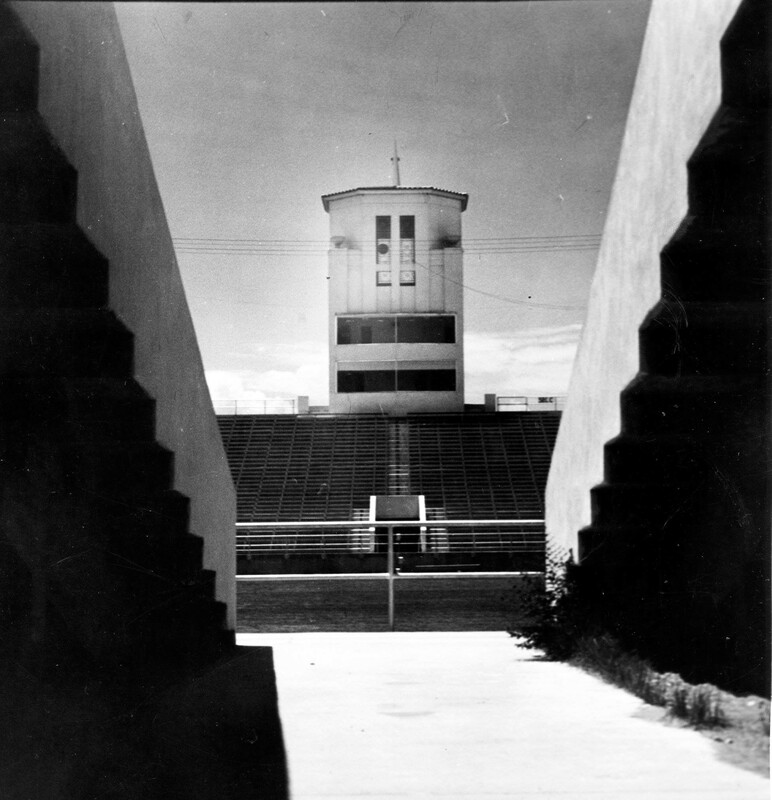 The picture below is an enlarged detail of the barracks. 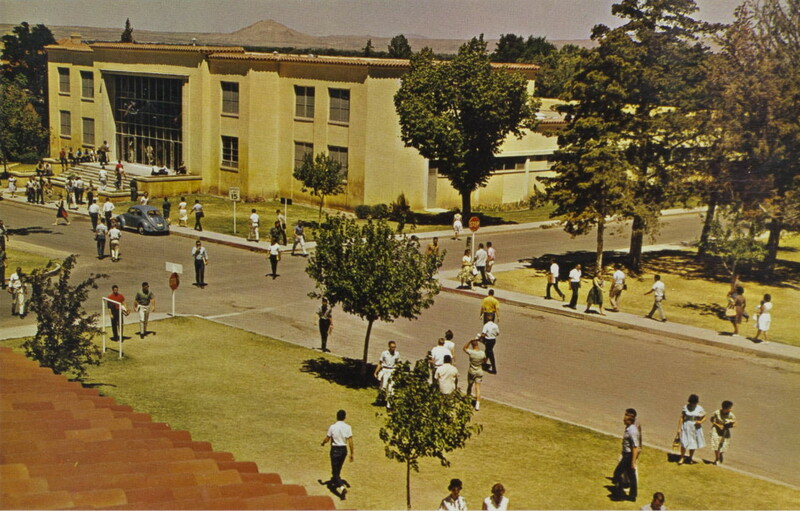 I was walking just outside the right-most barracks building on the afternoon of October 13, 1960, headed for the cafeteria. I’d been listening to a baseball game but was certain the Yankees had it won. I was startled by a rousing cheer behind me when Bill Mazeroski hit his World-Series-winning homerun for Pittsburgh. I missed it by a couple of minutes. 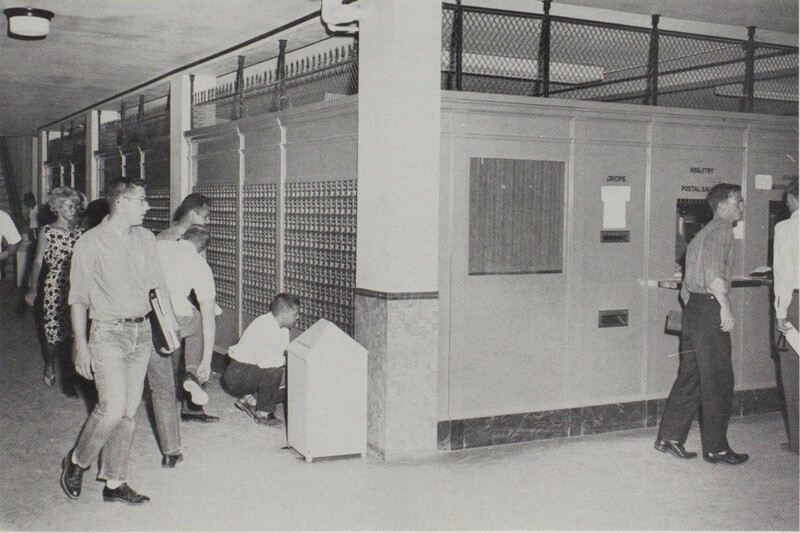 In those days it was common for young men to join the service out of high school, and attend college later. 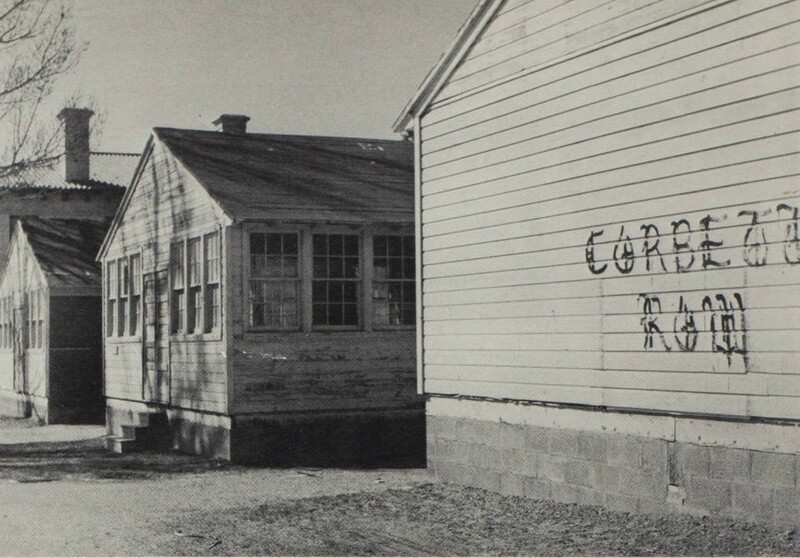 Several of these veterans lived in White Rock, and considered the accommodations upscale. 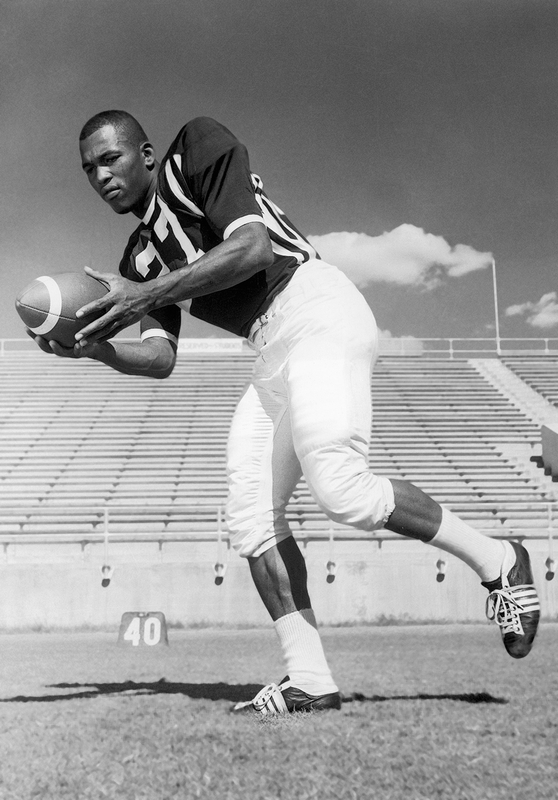 One NMSU alumnus, Pervis Atkins, who was part of the undefeated Aggie football team of 1960, lived a while in White Rock. His picture at right links to a remembrance of his experience. 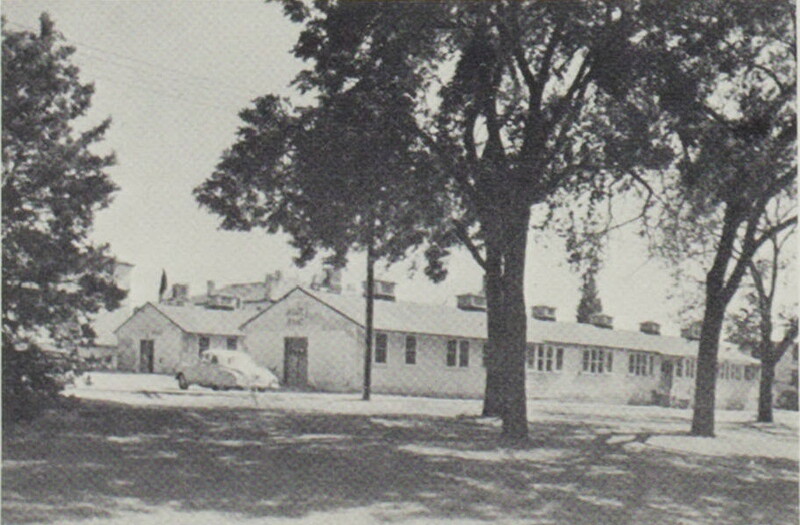 Here is how the barracks were described in a history of the NMSU agricultural department. 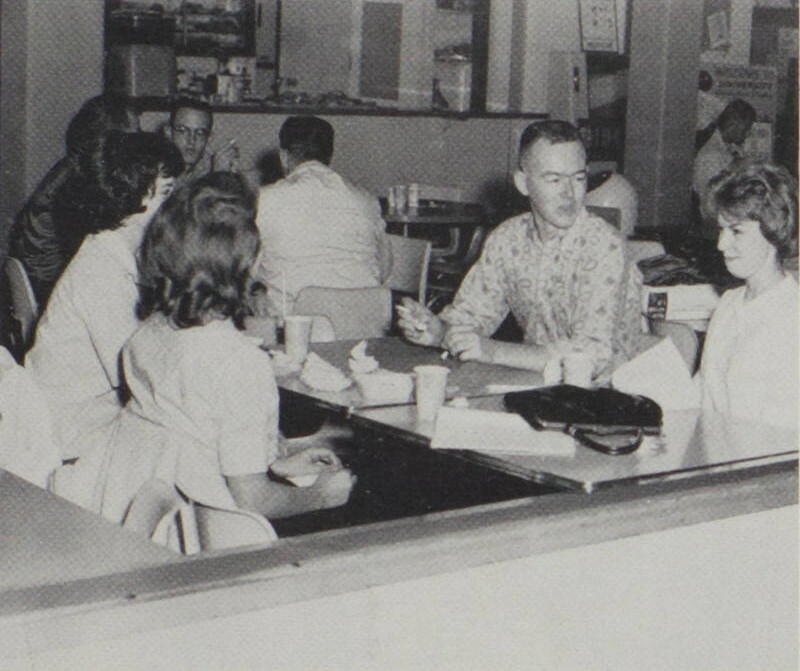 Right after the war, when veterans were returning, they were given priority for jobs. 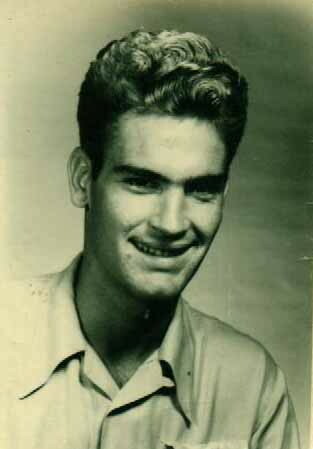 Since Ralph Skaggs was not a veteran, he was invited to make way for a veteran to run the State Experiment Farm in June 1946. He immediately called Professor Cunningham and asked if the faculty position was still available. Since many veterans were being discharged and wanted to go back to school under the GI Bill of Rights, this proved to be a very good change in jobs. During the war the dairy department had an occasional student from some country other than the U.S., who pursued a degree in animal husbandry and required a course in dairying as part of the curriculum, but no U.S. citizens were ever enrolled in the department during these years. 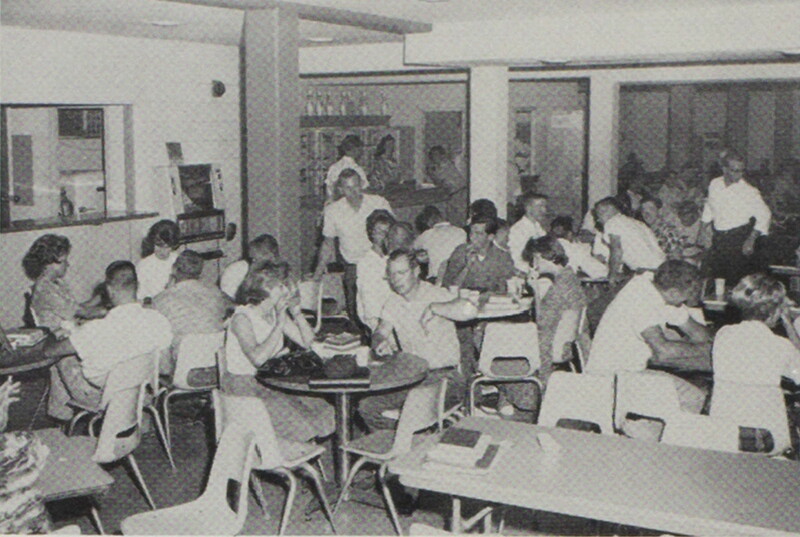 The first dairying class in the fall of 1946 contained fifty returning GIs where there had been almost no students in the previous four years. The campus was swamped with GIs. Old army barracks buildings were moved in and used as student housing. Married GIs were placed in small trailers. 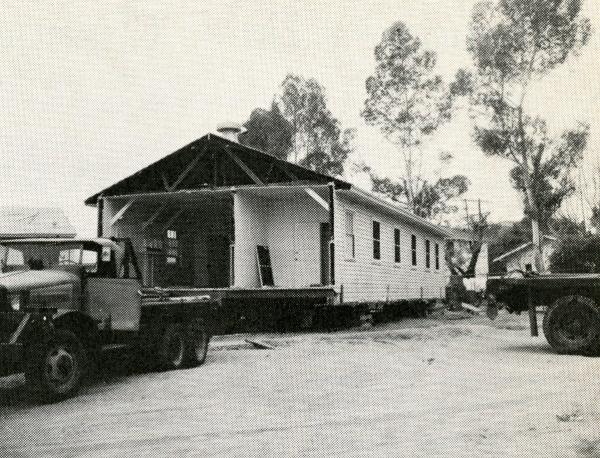 Both temporary types of housing were located along the south edge of the campus. Some of these came from the construction town of White Rock, NM, near Los Alamos. They were named White Rocks barracks and given the number corresponding to their building number when used in White Rock. My roommate was David Denzler, also a freshman, but with a difference. David had graduated from Albuquerque Adademy, a prestigious private school, and was eons ahead of me in sophistication. 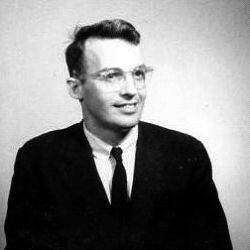 He majored in mathematics, because, he said, the weirdest people he knew were mathematicians. 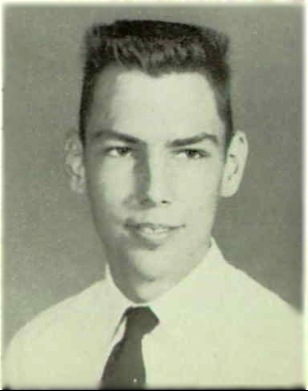 His high school Latin teacher had been the poet, Robert Creeley and David had lots of stories. David loved classical music, opera, and literature. He had a girlfriend, owned a car, and knew how college life should proceed. 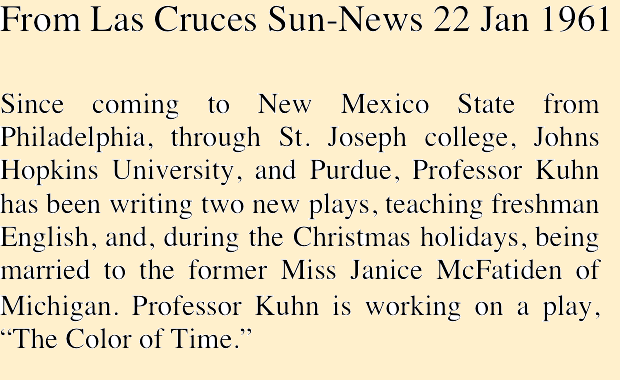 He'd even attended a semester at the University of New Mexico in Albuquerque, marking him as a venerated elder, although he was younger than me. I was without such savoir vivre, but barely realized it. I wanted to be a physicist, and had a goal of learning everything. I had a staggering case of homesickness that nearly put me on a bus back to Carlsbad. I affected a taste in jazz, although I tolerated David’s classical stuff, since he owned the record player. In retrospect I see my musical taste as a mimic of that era's intellectual cool set. Eventually, I changed my major to math also, because it was easier than physics, and I was beginning to suspect I wouldn't be able to learn everything. David realized the beds in our tiny room were stackable. That freed up space for the easy chair he'd hauled down from Albuquerque. He spent a lot of time in it, reading, studying, and philosophizing. 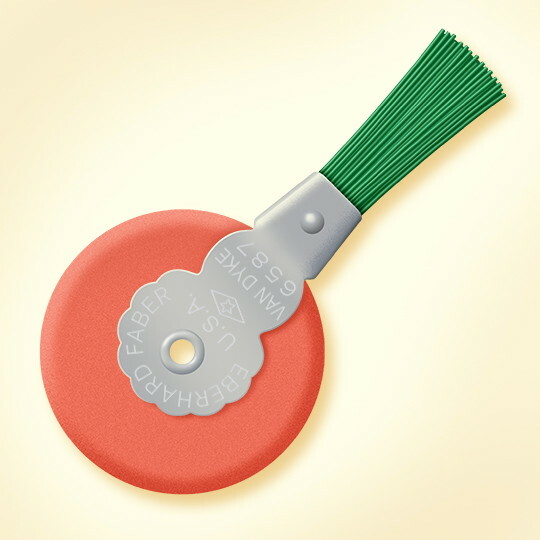 He had a souvenir from a bout of childhood polio, but he made no concession to it, except for a slight limp. His parents visited a few times and they took us out to dinner at La Posta. His father was a well-known doctor in Albuquerque. 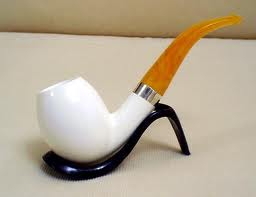 David's pride was a meerschaum pipe. He also got brownies from home, which he shared from a fruitcake box kept in the closet. He was a valuable asset to a bewildered young freshman, although I didn't realize it at the time, and wouldn't admit it to myself for years. All the rooms were off a single hall, and ours was the first room nearest the parking lot. We got a lot of visitors, partly because of our location, and partly because of David’s gregarious and scholarly mien. People were always dropping in for help with homework or just friendly advice from the sage of White Rock. 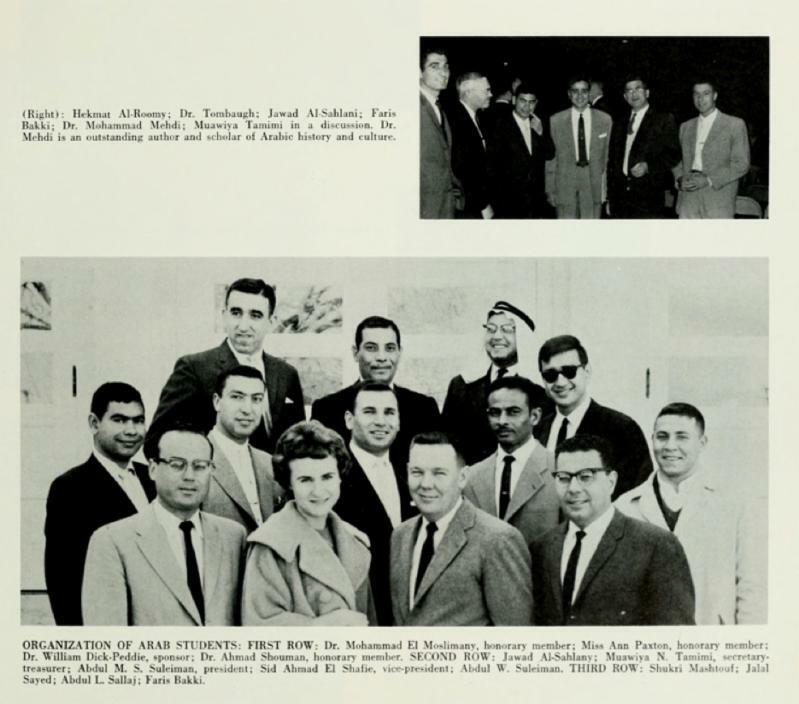 He made friends among some of the foreign students, from Iraq and other middle eastern countries. One of these, Farris Bakki (see above), introduced us to Turkish coffee, and became a confidant and portal to the world beyond. Dave and Farris shared a love of Madame Butterfly. There was always a discussion going on. David involved himself with Frank Thayer, another White Rock resident, in reviving the campus literary magazine, Puerto del Sol. For some reason the current keepers of the magazine website think life began in 1964, but the youth have a fuzzy concept of history. One night someone wandered in to get help with something and observed to the group, “This room has a lot of character.” He was right. Denzler made friends with David Sears, from the other end of the long hall, and the three of us hung out frequently in our spare time. David Sears was from Georgia, and had a jazz collection acquired from various junk shops. Today we would call these relics, “78s,” but at the time they were just records, distinguished from LPs and 45s. Jimmy Rushing has an expansive fame, and this song marks his literary influence. 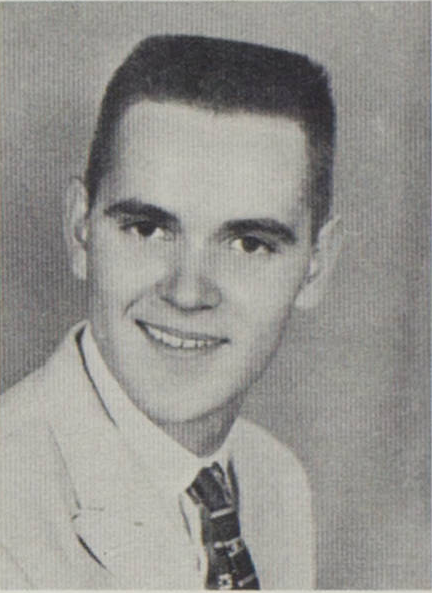 Jimmy Rushing did an interview in 1962. Wish I'd known at the time. 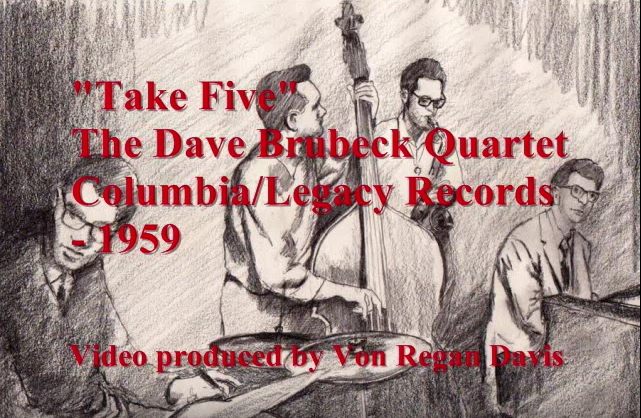 I knew very little about jazz at the time, an ignorance of which I was largely ignorant, having heard of Dave Brubeck, Louis Armstrong, Duke Ellington, Count Basie, and little else. My older brother was a jazz aficionado, so naturally I assumed I knew about it too. 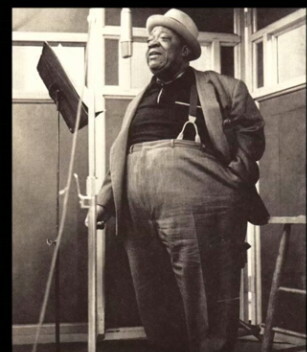 David Sears introduced me to Bix Biederbecke, Fletcher Henderson, Bubber Miley, Cootie Williams, Jimmy Rushing, Jimmy McPartland, and a slew of other artists I've cherished since. David Sears at Cordele High School, Cordele GA.
David had a Grundig tape recorder, reel-to-reel of course, and he agreed to record some of his collection for me. 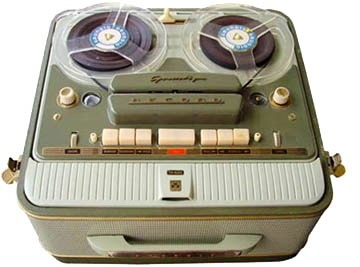 The Grundig was a wonderful machine. Push a button, and lights flashed, spindles whirred, relays clicked, and armatures maneuvered, during a moment of mechanical ponderation. Then, smooth-as-fresh-cream, it took off like a wisely trained race horse. We made two tapes of my favorites from his collection. I typed up notes of the titles and artists. The Grundig picture links to a Jimmy Rushing song we would have recorded if David had owned a copy. 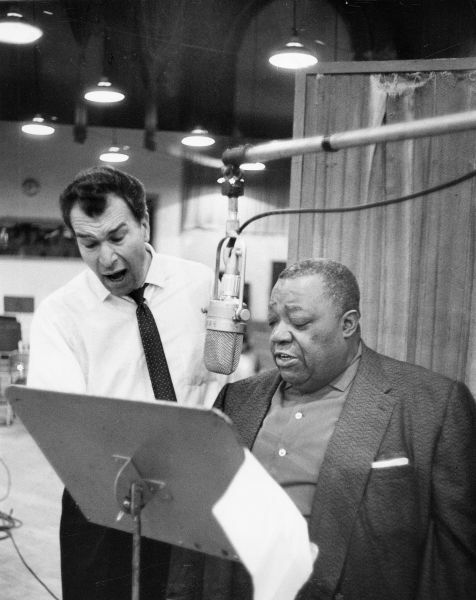 A moment for the ages occurred when David Sears and I listened to Jimmy Rushing sing, Good Morning Blues. Could there be such a talent? Here's a short bio of Mr. Rushing. The tapes have survived, with only a short interval of magnetic interference owing to me hitting record, decades ago, during a playback. I had no way to play them after about 1970, until I recently had them transferred to digital media. Some day I need to capture the notes as well. Now, of course, many of the recordings can be found online. 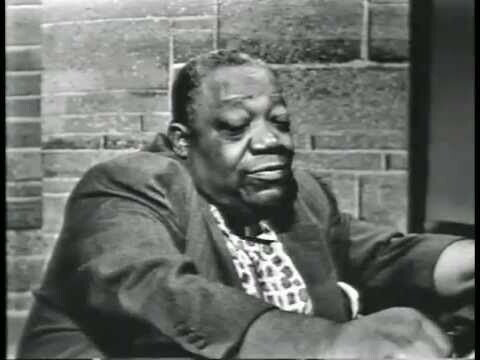 One of my favorites was Barney Bigard, playing “Steps Steps Up,” and “Steps Steps Down.” There was a lot of Coleman Hawkins, a little Duke Ellington, and some great Jimmy Rushing. I lost track of David Sears. 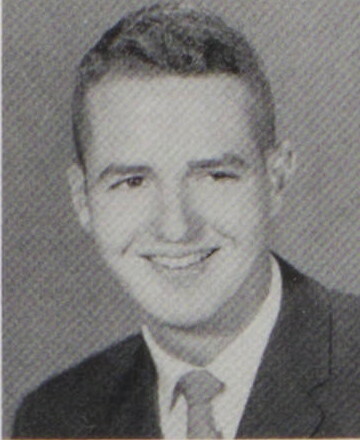 He left NMSU about 1963, and, as I recall, headed for California. He may be in Atlanta working as an IT consultant, but I’m not sure. I hope, wherever he is, he still has those records, and that magnificent Grundig machine. What a piece of engineering that was. We all moved out of White Rock Barracks at the start of the next semester into the swanky knew digs called, Regents Row. That soon-to-be-demolished complex was the dream dorm of its time. It was air conditioned and had semi-private bath facilities: an actual bathroom shared between two rooms. I learned the word "suitemate," and found out how to manipulate the sealed thermostat by draping a damp cloth over it. My education was thorough. I now recognize my White Rock experience as a watershed. My old roommate and I seldom saw each other during the next three years, but the friendships, acquaintances, and social understandings acquired in that first year informed the botheration that followed. David went on to be the editor of Puerto del Sol, and encouraged my writing efforts, and we both formed friendships with an important mentor, Tom Erhard in the English Department (see link below). 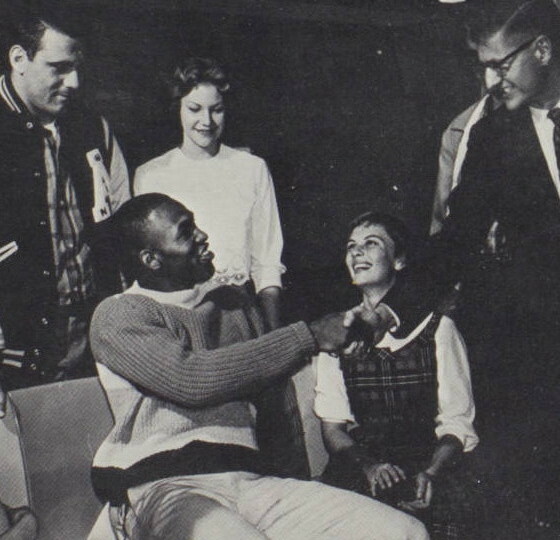 Let's not forget, 1960 was the year of Magic in the Desert, the undefeated season for the New Mexico State Aggies Football team. To a freshman it seemed the natural order of things. It wasn't. Click the picture for a review of the book written by those who witnessed it. 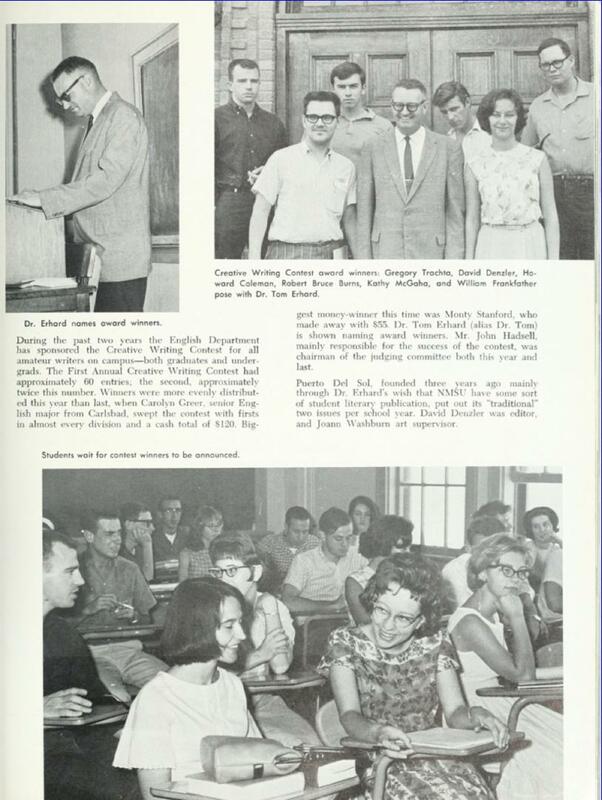 And while we're thinking about sporting events, let's not forget the first annual literary awards, sponsored by John G. Kuhn, my freshman comp teacher in his second, and last, year at NMSU. Described in the link above. There were other significant freshman influences, mostly positive, some not, the more remarkable for seeming ordinary at the time. There was Stanley Puryear, math instructor, who, being black, informed my assumption I'd reached an airy height of social maturity. I didn't realize the rarity of black instructors, then and for years to come. Mr. Puryear revealed the beauty of mathematics like a Pythagorean initiating his iron-age novices, then went on to an inspiring career in civil rights and academia, with stopovers in Aerospace. 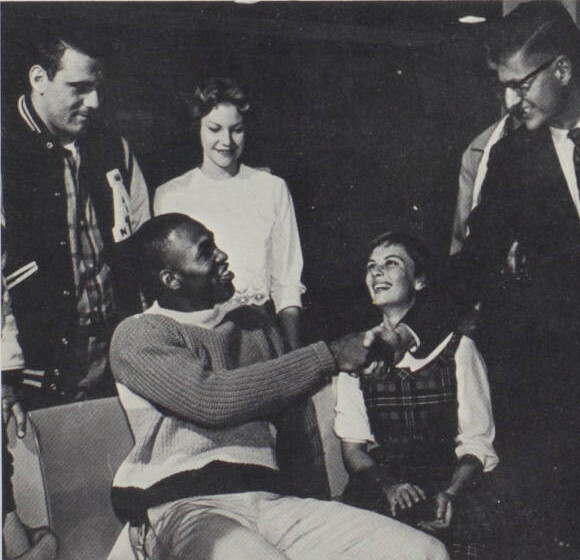 He is now known as Muata Weusi-Puryear and has been inducted into the Distinguished Alumni Hall of Fame at Asbury Park High School, Asbury Park, New Jersey. Here Here! 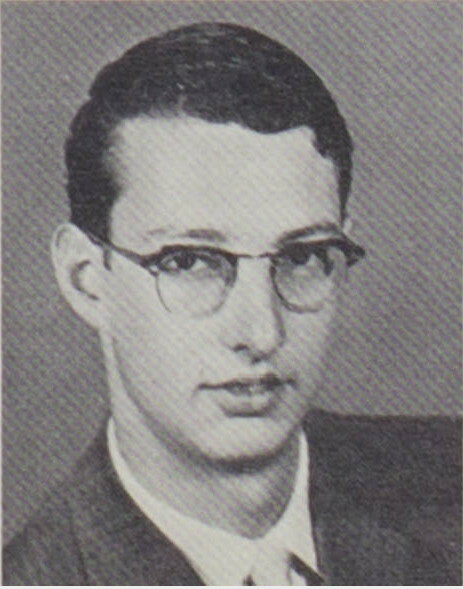 There was also my first-semester Freshman Composition instructor, Peter B. Walsh, who demonstrated the pathological depths of eccentricity required to pass as a rare bird in the Beat Era. 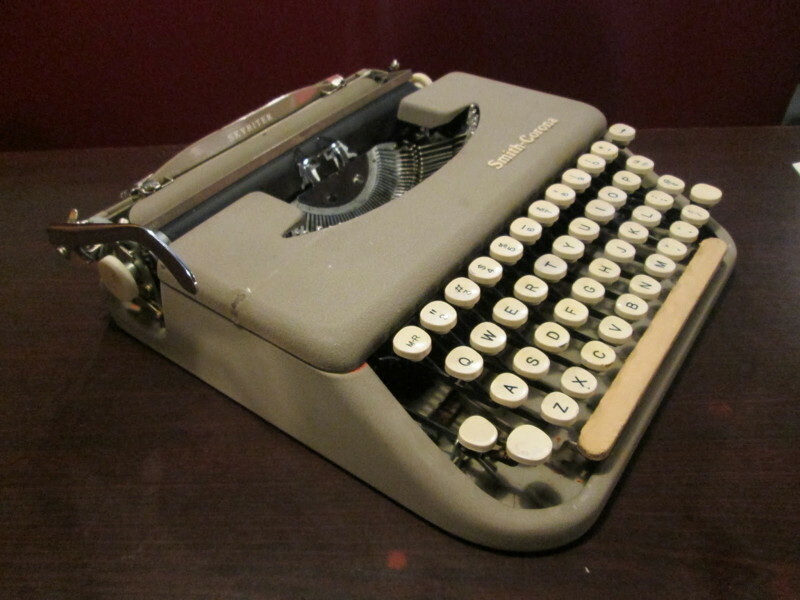 He'd been the editor of Pen, the literary magazine at the University of Utah, and had published in Poetry Magazine. 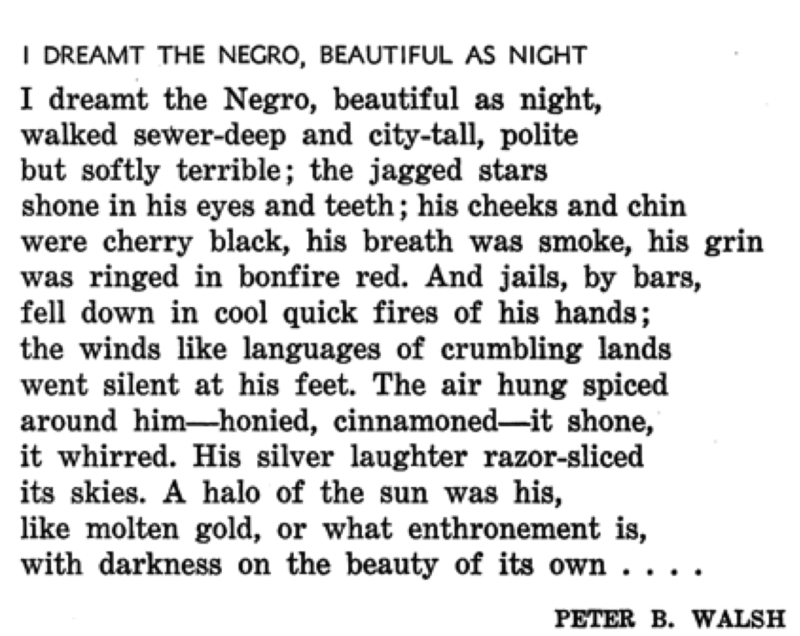 The poem was anthologized as one of the best of 1955, the year Emmett Till was murdered. He seems to have had a voguish politics, think Dr. Strangelove, signaled to his classes by his assertion, hardly credible even to a freshman from the sticks, that the Civil War hadn't been fought over slavery. The link at left, beneath the poem, has a few letters to the editor, included not for edification, but as reminders of the times. But I learned most of this later, after the culture that birthed the poem had long evolved. He disappeared without a trace as far as I can find. John G. Kuhn, my second semester composition instructor, introduced me to W. B. Yeats, analyzing the famous Irishman's poetry with an expository crispness never elsewhere encountered. His analysis of Lapis Lazuli is the only one I've found that treats the theater allusions. Kuhn once invited me to his house, and admonished me for complimenting his wife on her coffee. He threatened to flunk me if I ever dropped another possessive apostrophe. I did and he didn't. Good man. He disappeared in my junior year, memory suggesting a migration to the University of Texas, but he may have gone on to a career of academia, literature, and dramatic artistry at Rosemont College. 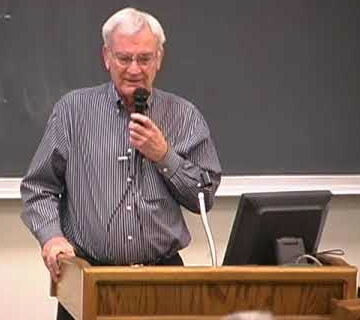 Elbert Walker recounted the Abelian group days at NMSU for a 2001 conference. Hurricane Harrison, as some of the undergrads called him, has an impressive acedemic and mentor legacy. 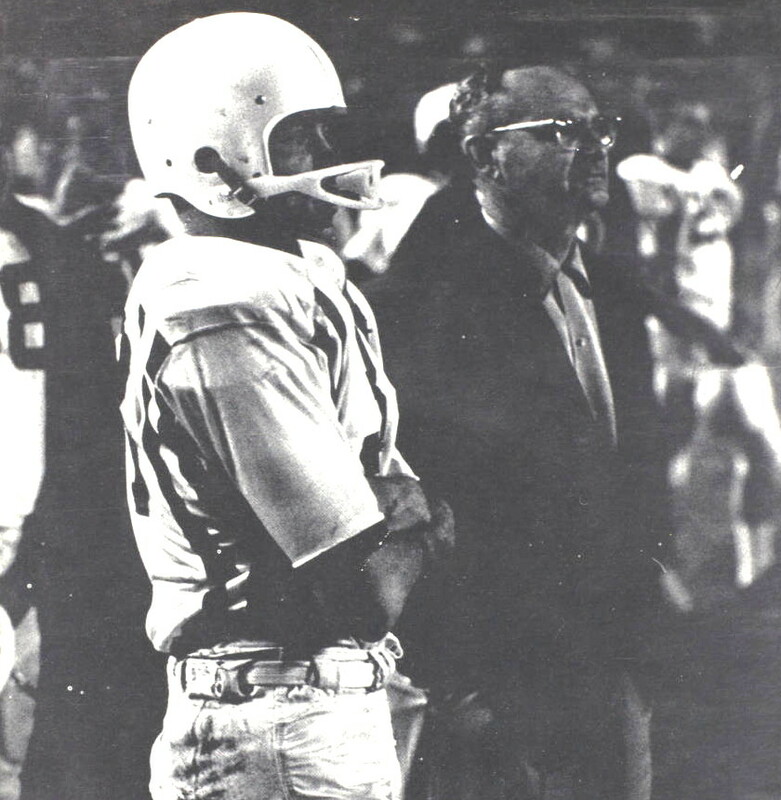 While he was at NMSU, Dr. Carol Walker was one of his students. 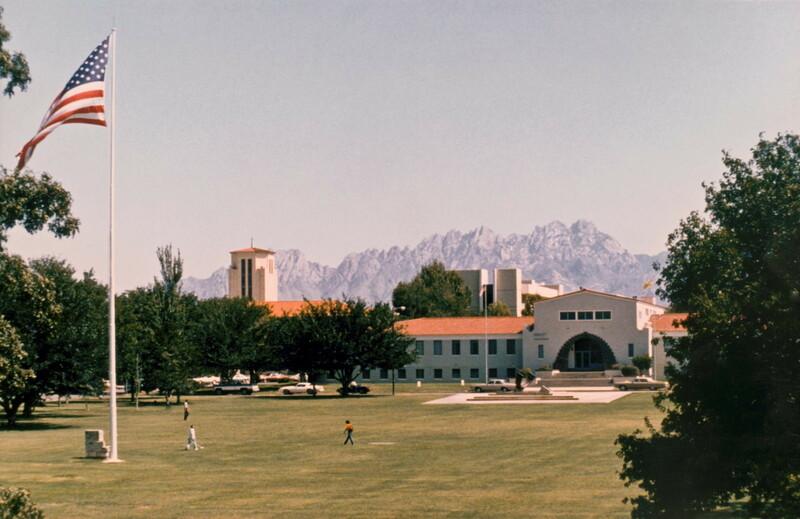 In the 1960s New Mexico State University became a force in a branch of mathematics called Abelian group theory. Group theory became important in Physics because of its facility in handling symmetries. Abelian groups apply to a special type of symmetry found in current models of reality. But, the theoreticians assembled at New Mexico State University were not working on the application of Groups. They were stimulated by aesthetic allure. 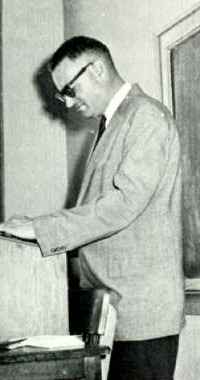 One of the Abelian Group Theorists to arrive in Las Cruces in 1963 was Dr. David Harrison, on leave from the University of Pennsylvania. He was among that rarest of sightings for amateur Prof Spotters, the research fellow who teaches undergraduates. A friend and I had the pleasure of taking an advanced algebra course from Dr. Harrison. Besides being an excellent teacher, able to articulate complex concepts, he was a high-energy entertainer. He became "Hurricane Harrison" to us. Nicknames for professors were normal. There was H2O, aka Howard O. Smith, the Chemist, Tugboat, the rotund and languorous physics prof who chugged into class puffing a pipe, and "29," the econ prof who began and ended every paragraph with the great depression. These names normally stayed within student control, but my friend once slipped in a conversation with his adviser and referred to "Hurricane." He was rewarded with the enigma of a mathematician's smile. 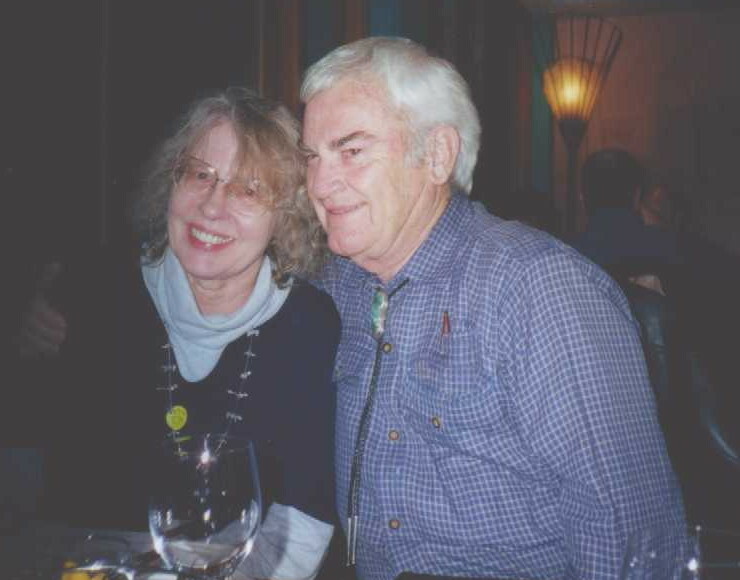 This picture of Carol and Elbert Walker links to the proceedings from a 1976 conference on Abelian groups held at NMSU. 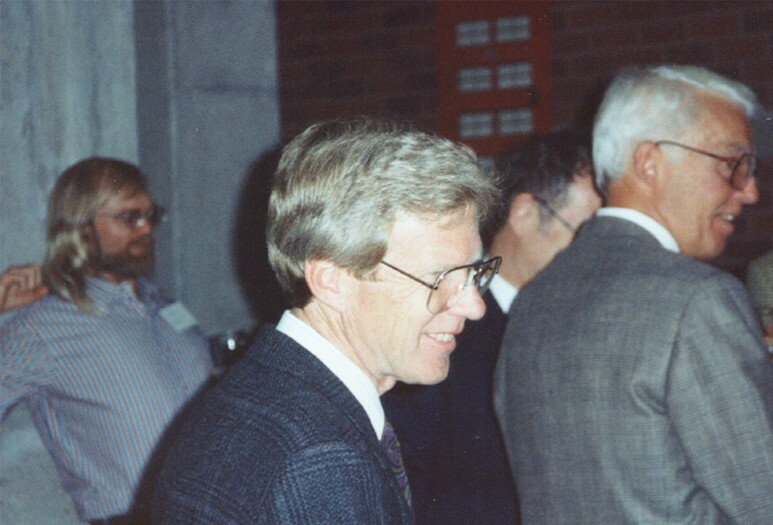 This photograph was taken in June of 1994 on the campus of The University of Oregon. 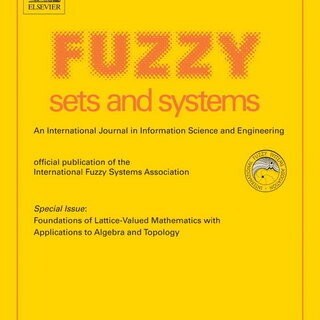 The three mathematicians visible in the picture are (from left to right) Timothy J. Ford, Frank R. DeMeyer and David K. Harrison. 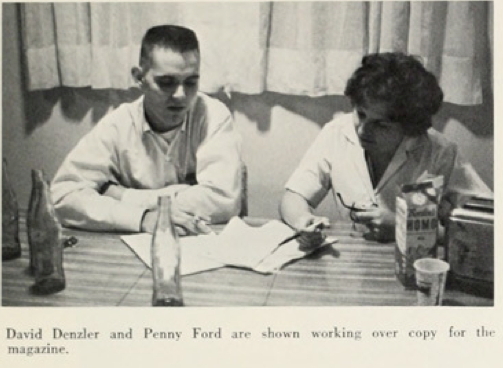 DeMeyer was Ford's Ph.D. thesis advisor and Harrison was DeMeyer's. The picture links to notes on Harrison's theory of preprimes. The Abelian Group episode at NMSU was exciting from the periphery of undergrad status. There were international conferences that anyone could attend. My friend made another rare sighting, a slender fellow with a beard to his navel, and identified him as, "the original Abelian Group." One of the Abelian forces was Dr. Elbert Walker, an object of special admiration to us because he had a beautiful wife who was also a mathematician. 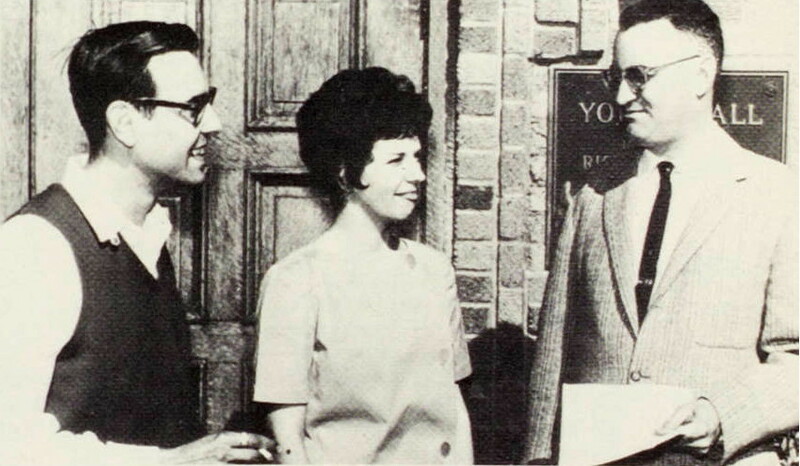 In fact, Dr. Carol Walker was, years later, the head of the department. 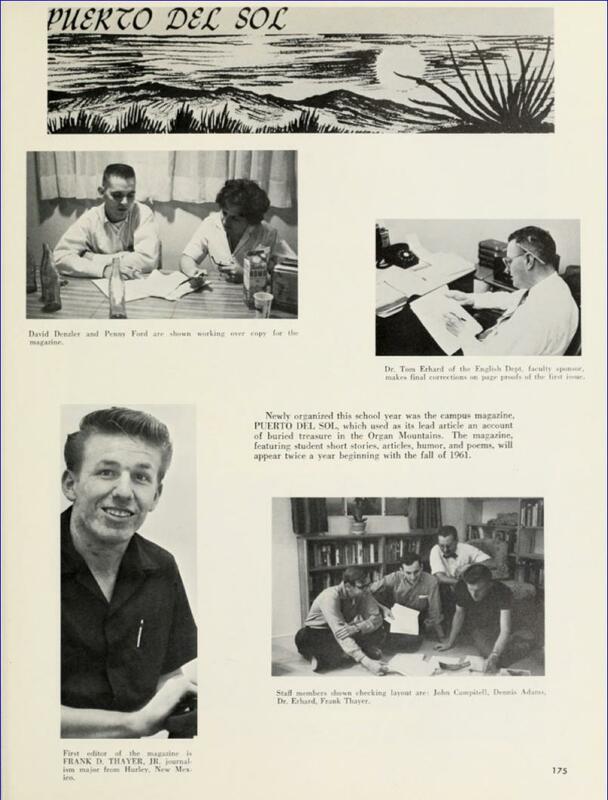 The Walkers, Harrison and others were among the young, energetic PhDs on campus who gave NMSU such a vibrant ambience in those days. He has written a synoptic history of the Abelian group days, and you can access it nearby. You probably want to see what all the Abelian group fuss was about, and several papers on the subject are also linked for your perusal. 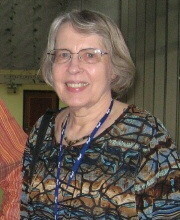 Carol Walker is more than a mathematician, and more than the emeritus head of the department. Here is what she tells us about herself. Elbert Walker passed away recently. Here is a remembrance. Things everyone wishes they understood better. After graduation my journeys never brought me within hailing distance of Dave Denzler, even though we worked for vigorously competitive rivals. David married his dream girl and made a unique life, with accomplishments and milestones only he could have contributed. White Rock Barracks barely survived our tenure at NMSU. The flashy new Regents Row that replaced them is soon to be torn down. The university, indeed the world, has passed into, and largely out of, the hands of our generation, and nothing is the same anymore. Nothing except that autumn glow of slanted sunlight, a signal that the only change is the modest tampering we did in our passing through. Who in the world cares about White Rock Barracks?